As featured on networks ABC and HGTV, the Zoom Bed, designed by Japanese architect Yuko Shibaga, features an articulated mattress that actually goes up behind the enclosing cabinet, rather than being pulled down. 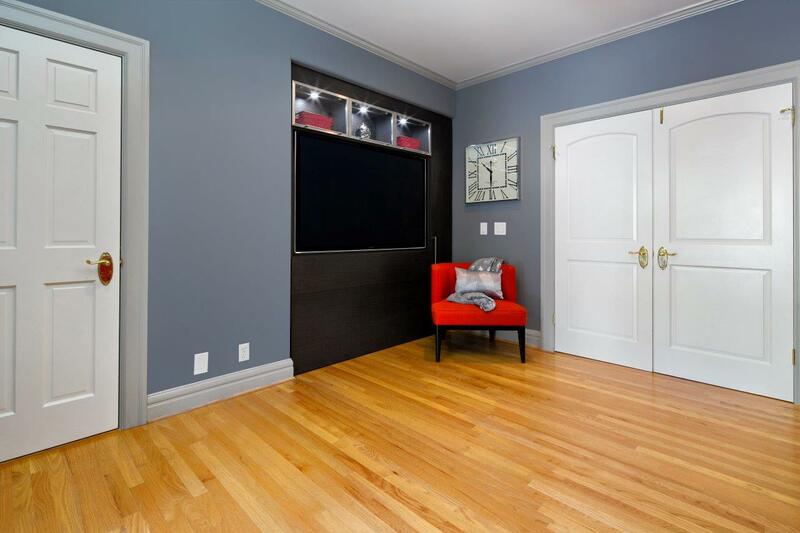 This allows the “wall” to feature bookcases, or a TV or a picture…whatever you want. Our display model has the large TV option, so you can lie in bed and watch TV, but during the day, all your guest see is a beautiful customized wall unit.